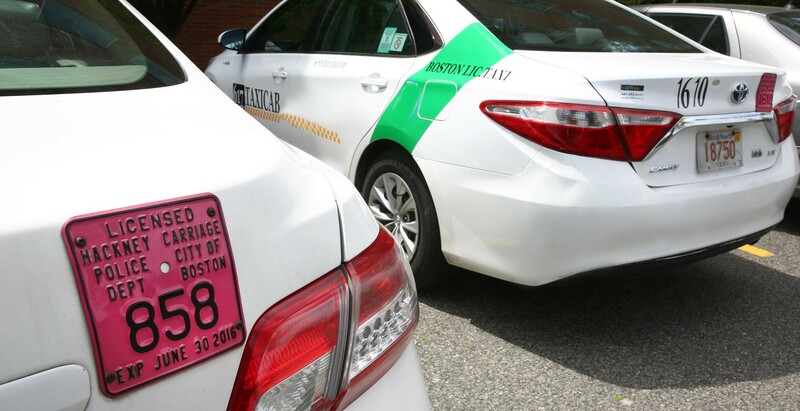 DID YOU FORGET SOMETHING IN OUR BOSTON TAXI CAB? You would be surprised what passengers forget in Boston cabs- wallets, (sun)glasses, bags, phones, notebooks, food, kids….just kidding. With taxi vans, and taxi sedans, there’s also more room for yourstuff, and so stuff gets left behind. At Boston Taxis & Vans, when a drivers’ shift is over and he cleans out a taxi, any forgotten items are turned in to Boston Police Department’s Carriage Hackney Unit at 1 Shroeder Plaza, Boston. They can be reached at (617) 343-4291. They are open during regular business hours, Monday – Friday 8:30am-4:00pm. Please do not contact us regarding your lost items. Unless you made a reservation with your phone number we would not be able to notify you regarding a lost item. Therefore, if you made a reservation AND a driver finds an item you will be contacted to claim your item. A lot of times passengers do not remember which taxi they took. There are A LOT of Boston taxis because if it’s a cab from Boston then it’s almost a certainty that “Boston” and “taxi” are going to be found somewhere on the outside of the cab. This, however, doesn’t mean that it is OUR cab. There are also A LOT of independent cabs. If you happen to pay by credit card, this may also help in locating your taxi and missing item. You can look on your credit card statement for the taxi transaction. The taxi company should be listed as the transaction name. Sometimes there is a 3 or 4 digit number alongside the company name (this would be the taxi medallion number or cab number). You can call your credit card company and ask for a contact number for that transaction- credit card companies would have a contact number with companies that they do business with, but they may not readily share that information with you. You could also reference the company name and cab number listed on that transaction to Boston Hackney Carriage Unit as they would also have contact numbers for all licensed taxi cabs.